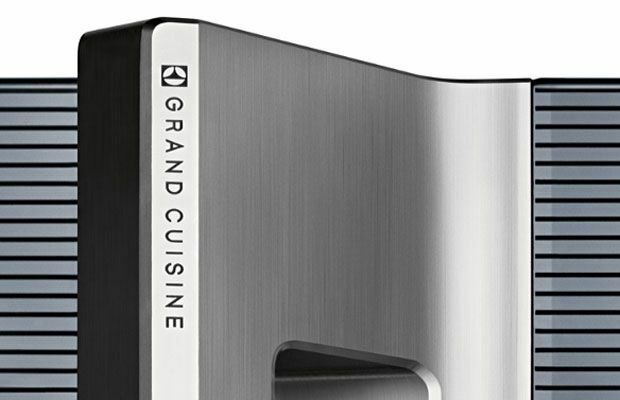 For those consumers who fancy indulging their inner Jamie Oliver or Gordon Ramsey (minus the swearing) Electrolux have launched the new Grand Cuisine home cooking system. From the sounds of things, Grand Cuisine is a new range of products that purport to put your home's kitchen on par with that of a restaurant's. The line includes products like the Precision Vacuum Sealer that enables advance preparation, the Combination Oven and Blast Chiller which allowing consumers to prepare hot dishes well ahead of time, freeze in minutes and then reheat for the perfect result. It also includes Molteni, the iconic French-style cooking stove. All components within the Electrolux Grand Cuisine line boast touch screens, intelligent sensors and pre-set programmes that allow budding pros to cook anything from chateaubriand steak to airy meringues. The full range, excluding the Molteni stove, starts at around £65,000 and it comes with an in-home briefing from a top chef. “As the first-ever professional kitchen designed for the home, we truly believe Electrolux Grand Cuisine is set to revolutionise home cooking and will have a major impact on the future of kitchen technology," said Ennio Pippia, Director of R&D, Electrolux Professional. “Our research has shown that whilst many home cooks are experimenting with expert cooking techniques, the missing ingredient for creating a restaurant experience at home has been access to professional tools. With Electrolux Grand Cuisine, we have created an interactive and intuitive, intelligent system that will help the at home chef achieve the same world class results you'd expect from a Michelin-star restaurant."